CHICAGO TRIBUNE: “Empire” actor Jussie Smollett has surrendered to Chicago police and is due in court later Thursday to face a felony charge of disorderly conduct for allegedly making a false police report when he said he was attacked in Streeterville by two men who yelled racist and anti-gay slurs and looped a noose around his neck. Smollett, 36, turned himself in early Thursday, according to police spokesman Anthony Guglielmi. He is scheduled to appear for a bond hearing later in the day. If convicted, he faces up to three years in jail and could be ordered to pay for the cost of the investigation, which involved more than 20 detectives over three weeks. 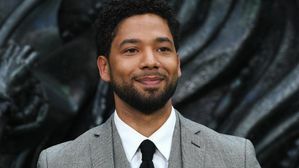 Smollett is represented by local attorneys Todd Pugh and Victor Henderson as well as high-profile Los Angeles-based lawyer Mark Geragos, who has represented celebrities like pop star Michael Jackson, R&B singer Chris Brown and actress Winona Ryder.